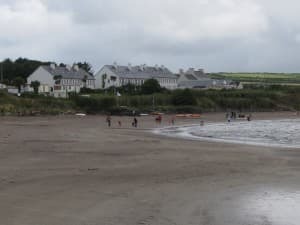 Ballinskelligs Beach is located in South West County Kerry in Ireland. Ballinskelligs Harbour, 2km south of the village of Dungeagan located in the Gaelic speaking part of the County. 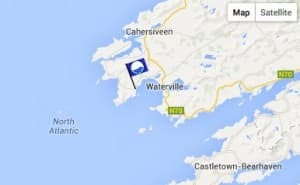 Ballinskelligs is accessible via the N70 from Killarney, then changing to the R566 after Cahirciveen/ before Waterville. The beach is lifeguard patrolled during the bathing season (lifeguard patrol times are displayed on the information noticeboard at the beach). Ballinskelligs Beach is well known beach for its long golden sand and clear water. It forms part of the Ballinskelligs Bay Conservation and Iveragh Peninsula Special Protection Area. It is also a proposed Natural Heritage Area. The beach is lifeguard patrolled during the bathing season and more information can be found on the notice board located at the beach.